(Atlanta, GA) United Turf Alliance (UTA) offers its first biorational plant protection product with the introduction of ArmorTech® Sonnet biological fungicide. The new wettable powder formulation will be marketed exclusively to the U.S. professional turf and ornamental market by UTA members and dealers. Sonnet contains the patented beneficial bacteria Bacillus subtilis strain QST 713, which produces natural lipopeptides capable of stopping existing plant disease infections, while simultaneously creating a protective barrier on plant surfaces to prevent intrusion from new pathogens. This multiple mode of action helps manage resistance issues. When tank mixed with traditional fungicides, Sonnet enhances control by inflicting damage on disease cell membranes and may allow improved performance by synthetic fungicides. Packaged in a 4 x 5-lb. case, Sonnet promotes plant health and delivers preventive control of critical turfgrass diseases including anthracnose, brown patch, dollar spot, gray leaf spot, powdery mildew and rust. It is also labeled for disease protection on ornamental plantings such as annuals, perennials, trees and shrubs. Sonnet is OMRI Listed and supports the goals of integrated pest management. 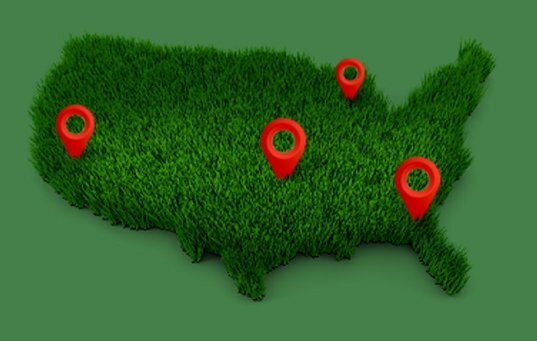 Incorporated in 2005, United Turf Alliance markets leading edge turf products under the ArmorTech brand name through its members and dealer partners. The alliance directs its efforts toward discriminating golf course superintendents and other turfgrass professionals who value relationships based on industry and product knowledge combined with excellent customer service.